Aube, named after one of the Seine's tributaries, is predominantly an agricultural department with arable land covering around a third of its surface. The northern and western parts are fairly mountainous while the south and east contains fertile woodland. It is here that some of the finest wines are produced, such as Les Riceys, Bar-sur-Aube, Bouilly and Laines-aux-Bois. Aube has its own regional park called Foret d'Orient, a vast land of deep forests and secluded lakes. Local legend says that the knights of the crusades hid the treasure that they brought back with them in this area. Troyes, located in the very centre, is both the departmental capital and a historical capital of the entire champagne region. It is quite similar to Reims, both in its atmosphere and design. There is a highly commercial and lively city centre complimented by fine architecture. The main square has been constructed in the shape of a champagne cork. Visitors flock from far around to enjoy the wide range of fashionable shops with very affordable prices. In 451 AD, Troyes was in the path of Attila the Hun's invasion and faced being destroyed like so many other towns in the region. Fortunately the local Bishop, St Loup, went to meet Attila and asked that his life be swapped for the fate of the city. Attila agreed. As a result the Bishop was never seen again but Troyes was completely bypassed by the invaders. The Bishops continued to rule the city until the 10th Century when the counts took over and made it their capital. However, 300 years later the last count heir married the French King and effectively sealed the monarchy's control over the territory. Towards the east of the department you'll find Bar-sur-Aube, a town that thrives on Champagne production. It has retained an archaic atmosphere with its stone and half-timber housing. The ramparts that once helped defend the town from various intruders have been destroyed and replaced by boulevards. In medieval times, one of the most important Champagne fairs took place here. The Cellier aux Mones, where wine was stored as far back as the 13th Century is well worth a visit. On the opposite side of the department you'll discover Nogent-sur-Seine, a charming town set over both banks of the River Seine and an island in between. Despite having a population of just over 6000 people, the local economy is thriving, partly due to its proximity to Paris. Nearby you'll be able to see the cooling towers of a nuclear power station and a number of silos. Paris's two airports, Charles de Gaulle and d'Orly are both around equal distance to the Aube department. An easy and comfortable alternative for people who don't like flying is to take a train from the UK all the way to Paris via the Channel Tunnel and the TGV service and then changing for Troyes. If you want to bring the car then your nearest ferry ports are Dunkirk, Dieppe, Calais and Le Havre. Property prices in the Aube are generally cheaper and represent better value for money than the rest of the champagne region. At the time of writing we have a large house with four bedrooms, five kilometres from Lac d'Orient for €228,000. Do you know Aube better than we do? Do you have photos of Aube? 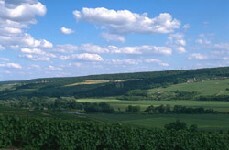 Aube is the most southern department in the Champagne-Ardenne region of eastern France.